There are times when you hear and learn stuff that God is teaching you and it’s so simple and yet huge at the same time, that you realise that this is one of His foundational universal truths. These are the things that you come across time and time and time again. You have the head-knowledge of it and have heard it loud and clear and acknowledged it to Him, but still we have to be reminded of these lessons over and over again. One of these things is the regularly repeated lesson that God is in charge of our lives and the lives of others. We don’t get to be in the driver’s seat. We don’t even get to be a back-seat driver (who hasn’t tried doing that with God?) The reason it is so difficult for us to get right is because it is in the nature of man to be in control. After all, if things went the way we wanted them too then everything would be peachy! 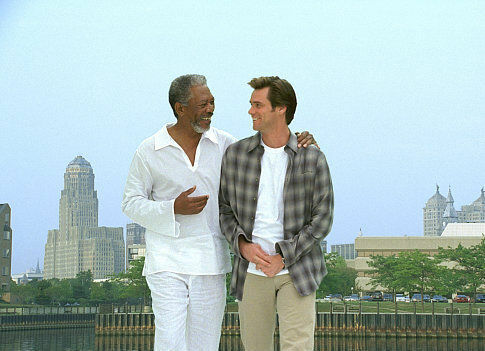 In the movie “Bruce Almighty” this is shown to comic effect when Jim Carrey’s character is given God’s power for a limited time and he uses it to his own ends – with disastrous results for him and everyone else. In life God is constantly showing us that we were never meant to run our own lives – or anyone else’s. I have experienced trying this and failing and I have also been on the receiving end of it when well-meaning people trying to do the same with me. It’s frustrating for them and for us and doesn’t work because we are not God and neither are they. The Bible has much to say about this in Isaiah. “Do you question me about my children, or give me orders about the work of my hands? Shall what is formed say to the one who formed it, “You did not make me”? Can the pot say to the potter, “You know nothing”? The process of yielding to God’s control in our life – and resisting the temptation to put others on our wheel is a lengthy one and also one that God will not give up. He will (and should) get his way in the end. It is one of His basic life lessons for us – and can take a lifetime to learn.